Home blog computer term what is AGC? The bloggers who always exist in the world of blogging would already know what it is AGC. Besides, it is also of course the many bloggers who have been using this trick. Before we discuss about AGC blog, it would be nice if there is a little blurb about the notion of AGC itself. 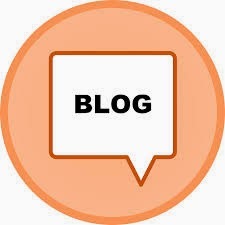 AGC stands for "Auto Generated Content" that can be interpreted more or less the same as the name implies is a blog and generating content automatically. The content can be from search engines and others. AGC is required to make at least basic capabilities and PHP or HTML coding. The characteristics of first AGC blog can be marked with the permalink (URL). Some content containing the search results as well as google and bing search engine. And the strange phenomenon is, almost all search engines put the blog on the home page AGC search results. Previous friend can see "info words, post, docs' and so on which can be made ​​according to the owner's desire blog. But as the development time Blog permalink URL AGC now more deceptive, to be impressed into the post URL, eg http://blog-agc.com/word-word-word.html and so on. Controversy / Blog disagreement about AGC can still be seen as to whether this includes the type of Black Hat SEO or prone either banned from the search engines as well as from adsense banned. The real blogger will hate AGC.